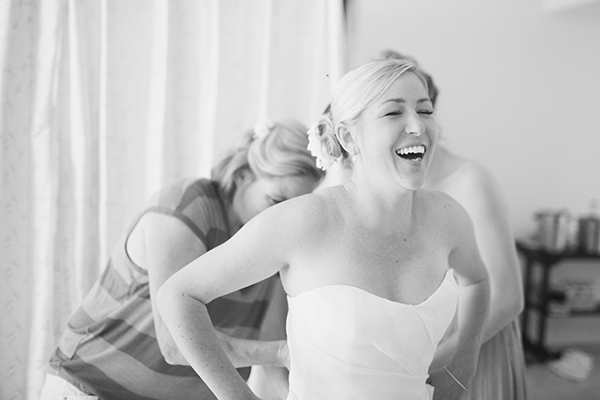 From the moment that we met Lindsay and Danny, they seemed to emit a laid back and easy going, playful attitude that we just knew we had to replicate on their big day. 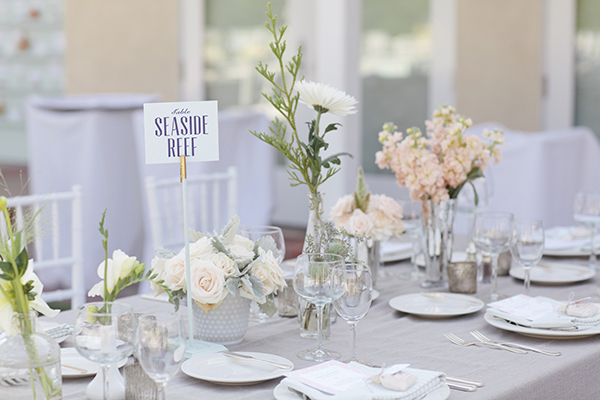 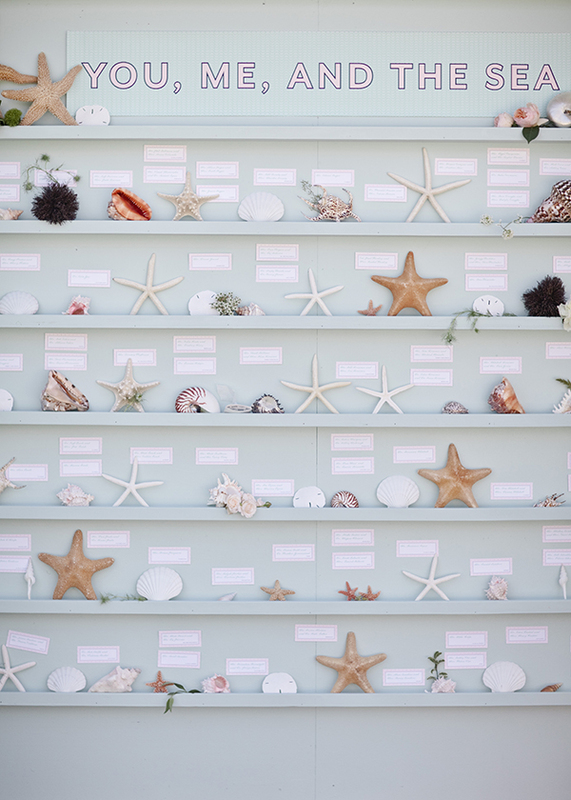 Danny, being the surfer that he is and the couple's love for the ocean and all things outdoors, made for the perfect inspiration of a beachy, fun celebration! 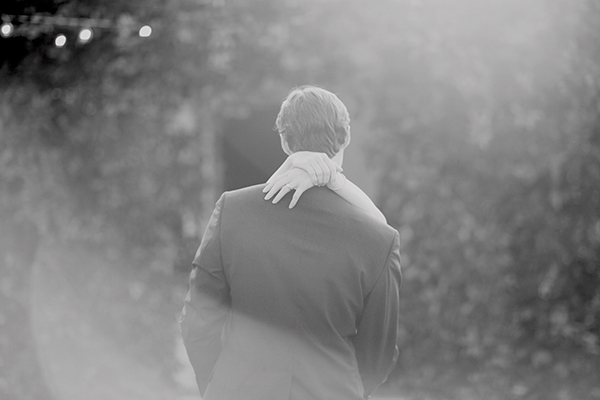 This long time couple who met in High School and had been together ever since made love look effortlessly easy and we wanted their wedding to reflect that as well. 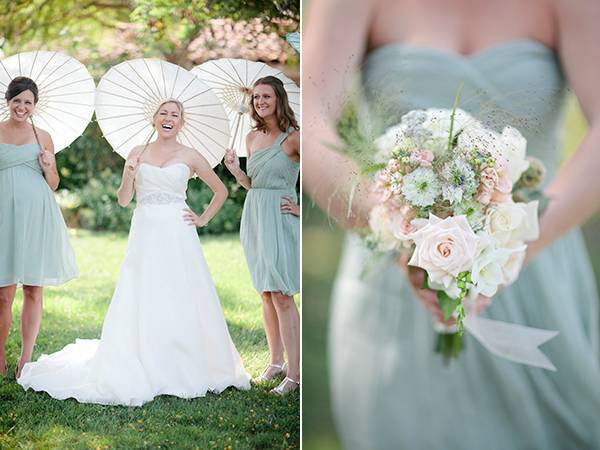 The day was full of sunshine and love! 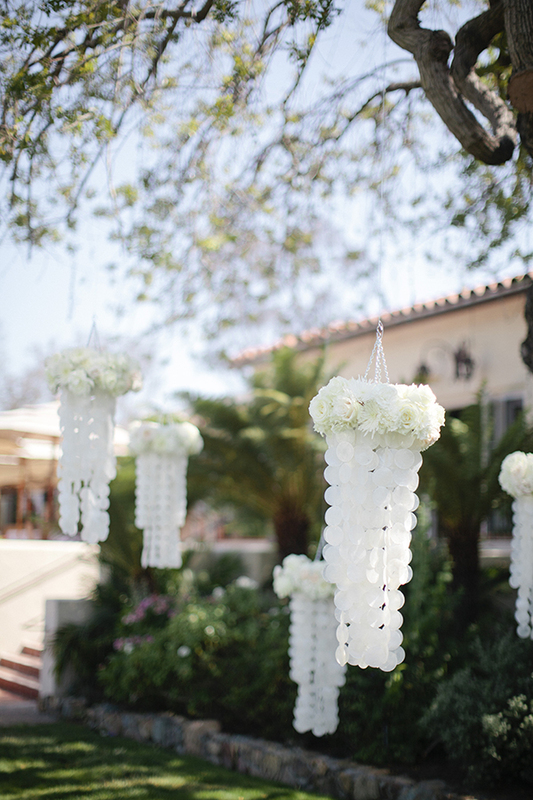 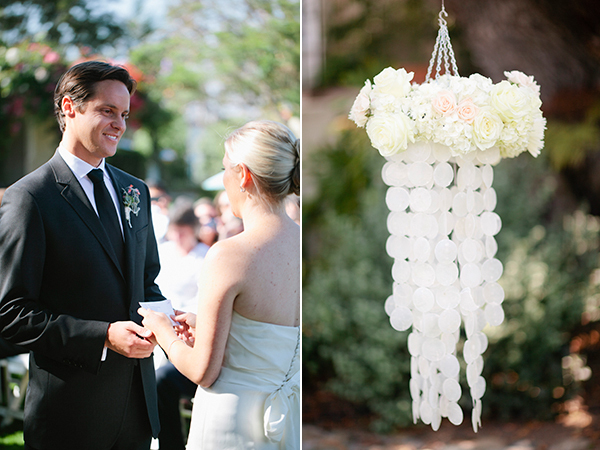 Guests were shown to the ceremony location where capiz shell wind chimes hung that the talented Twigg Botanicals decorated with flowers to match. 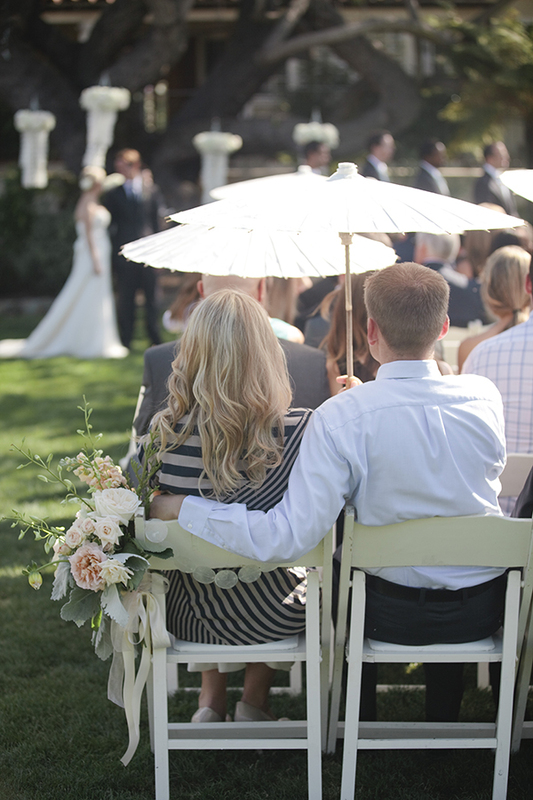 Blue and white parasols kept the sun off the guests as they watched Lindsay and Danny exchange vows under the gorgeous tree at The Inn. 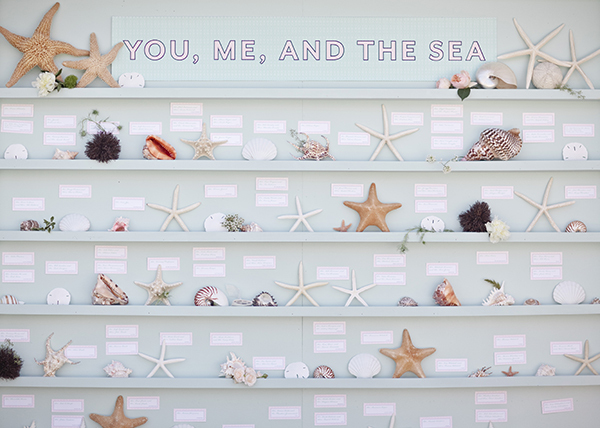 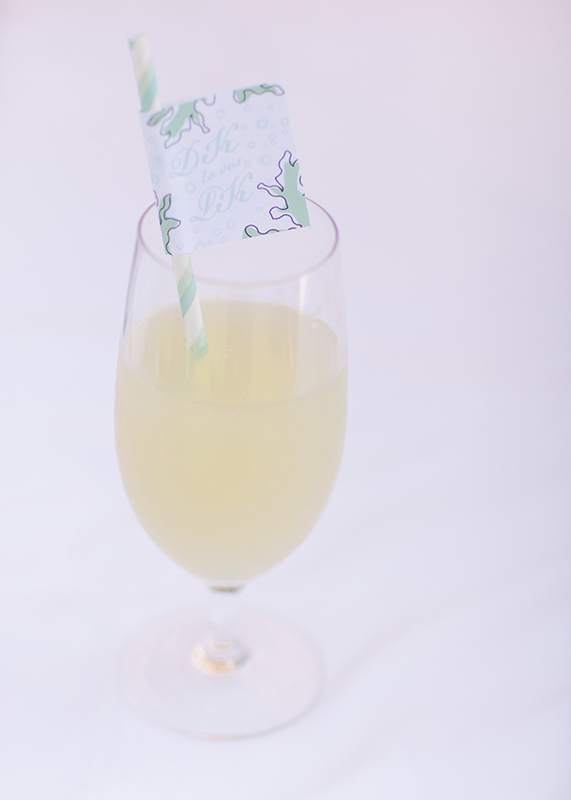 At the ceremony, guests were invited to sign the pages of a coffee table book of Ocean images taken by a Buddhist monk while they could sip lemonade from their striped straws complete with flags entitled “DK loves LK” by the always adorable Mae Mae Paperie. 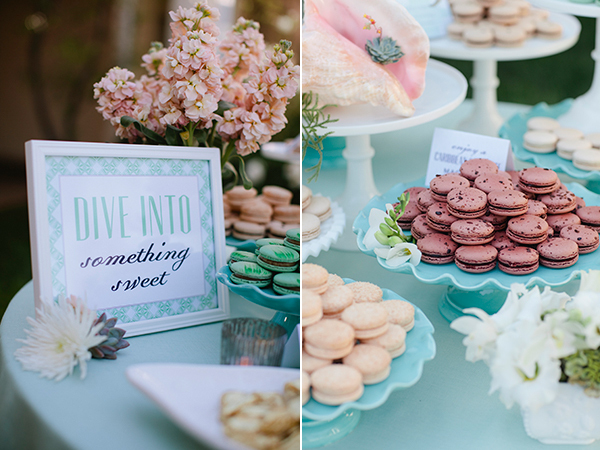 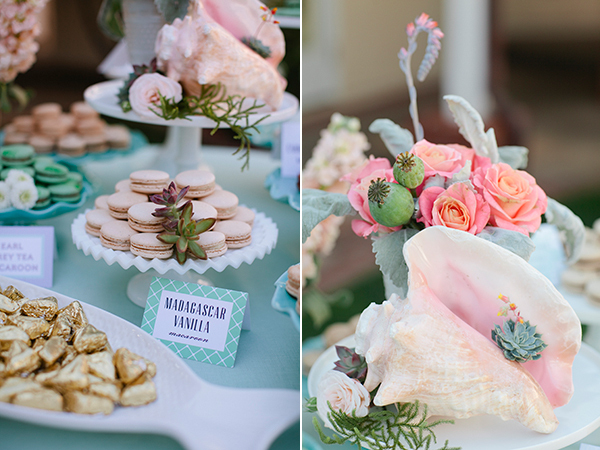 As if they needed to “dive into something sweet,” the macaroon table was plentiful and popular. 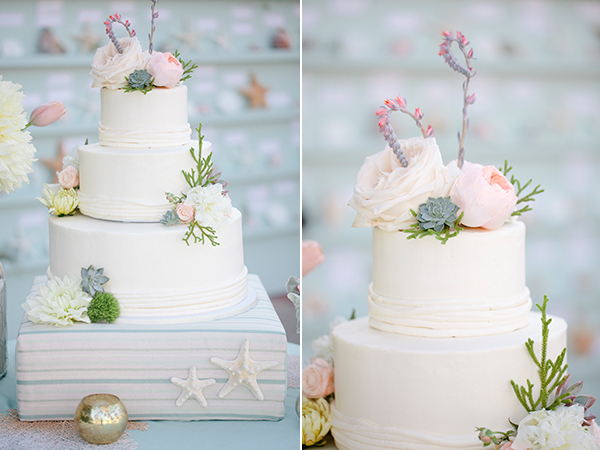 Their wedding cake was sweet and simple, decorated with just an icing ribbon and fresh succulents, and oh so delicious! 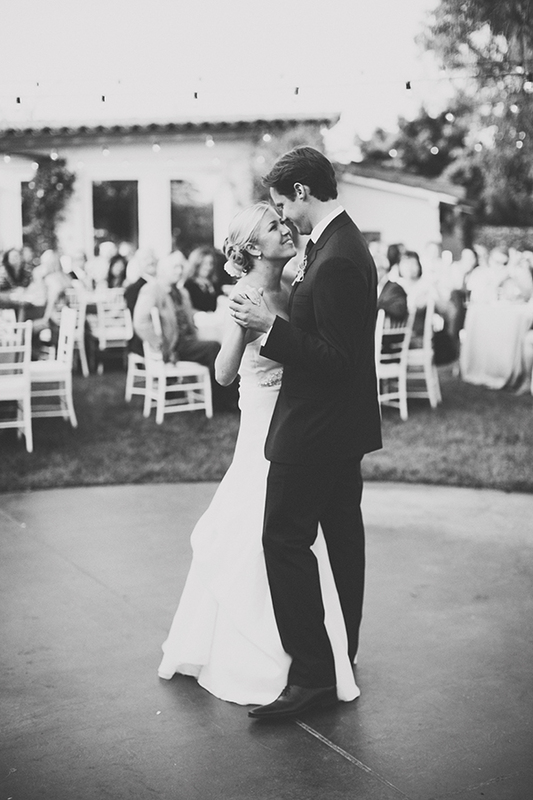 Later in the evening the couple cut the cake with Danny's Grandfather's Sword who had served in the Marines. 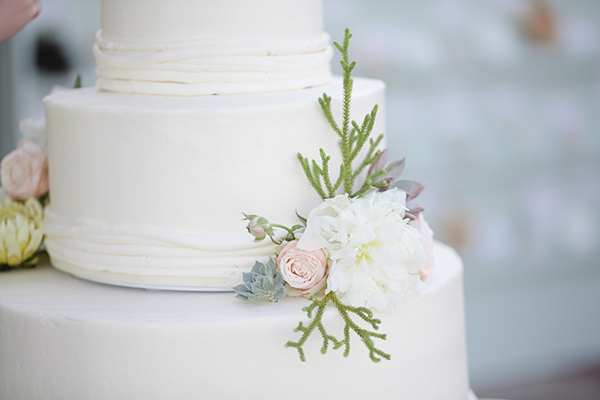 The sword had only been used 3 times, to cut the wedding cakes of Danny's mother and her two sisters. 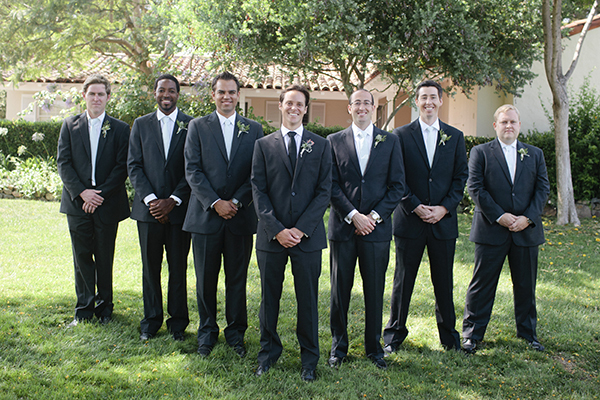 They chose to carry on the tradition while honoring Danny's grandfather. 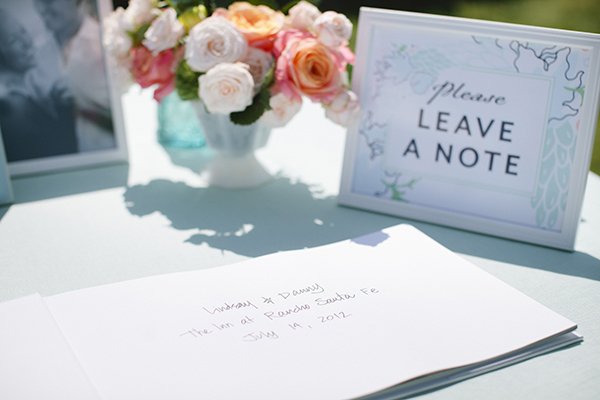 We are so happy we were lucky enough to be a part of Lindsay and Danny’s amazing day and wish them so much happiness in the future! 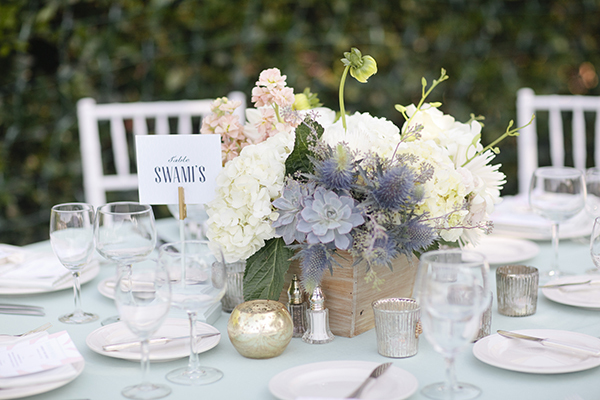 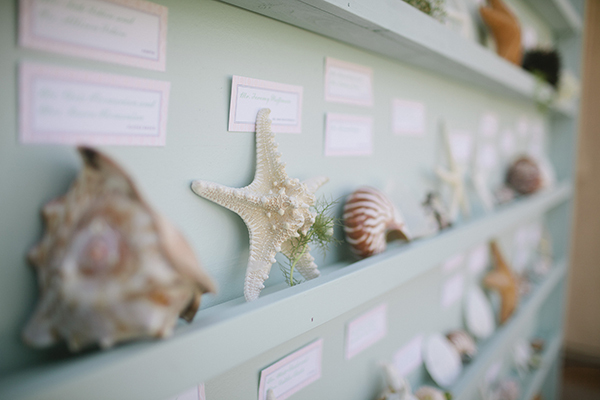 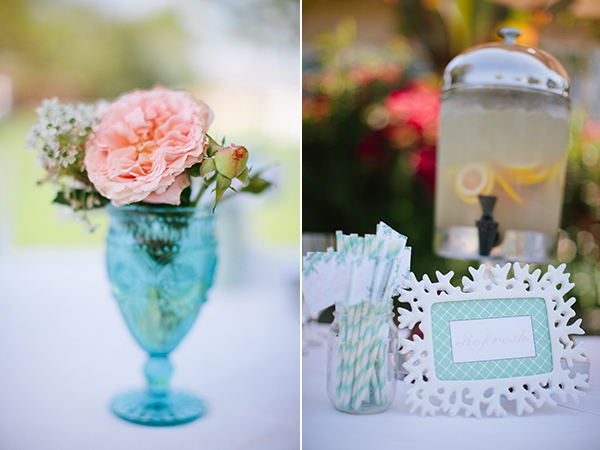 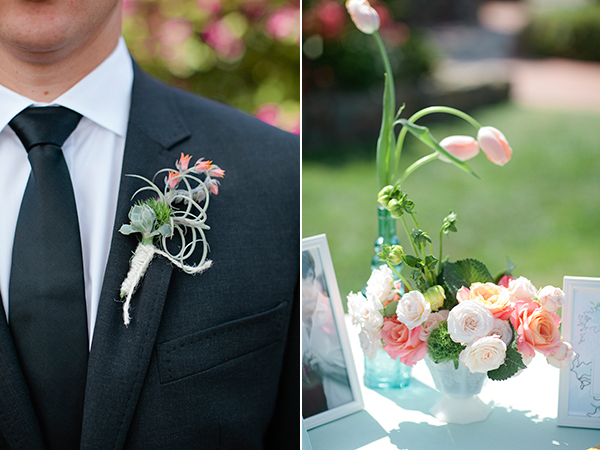 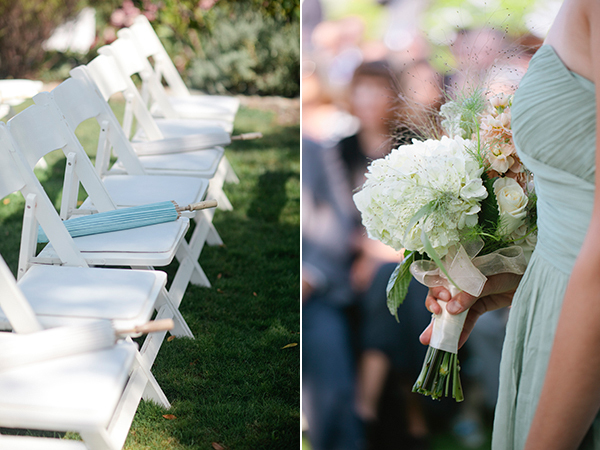 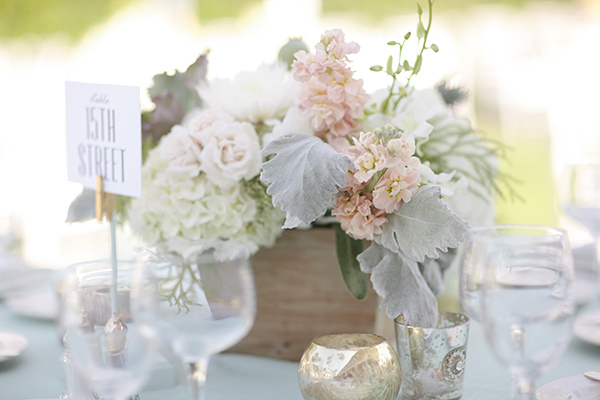 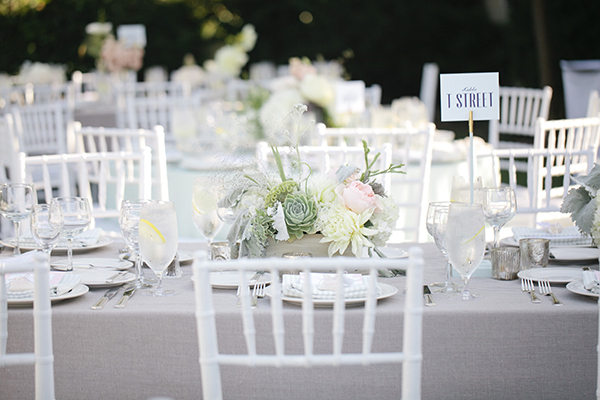 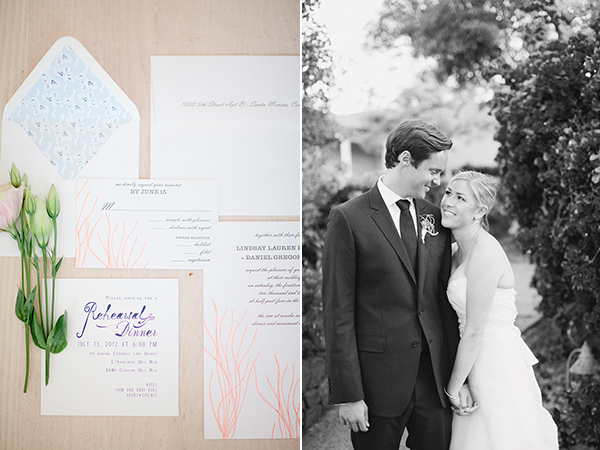 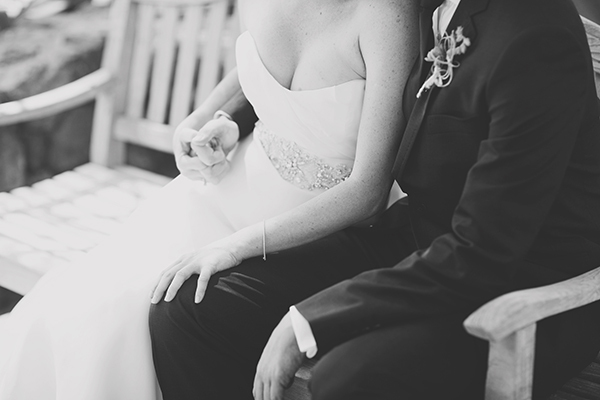 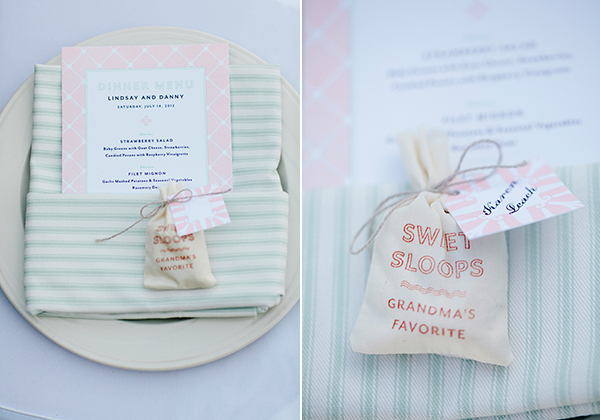 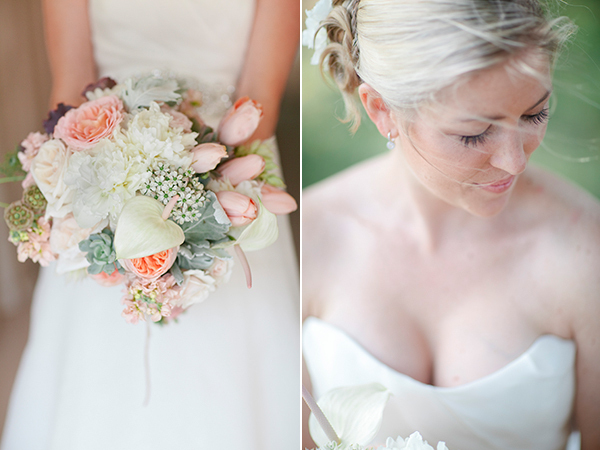 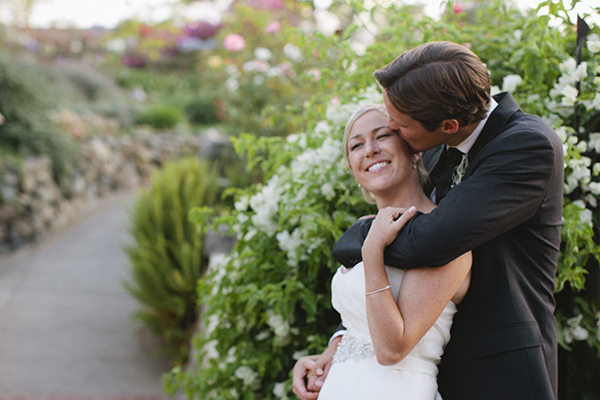 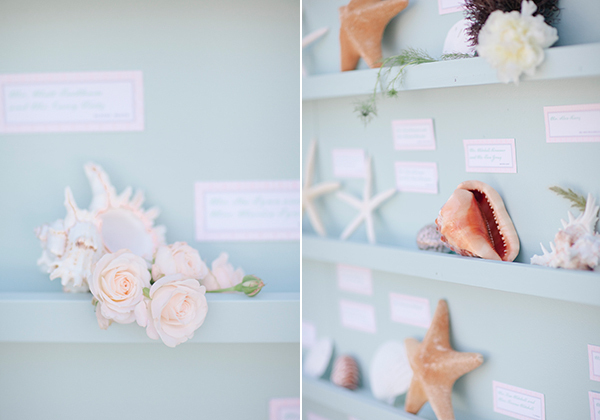 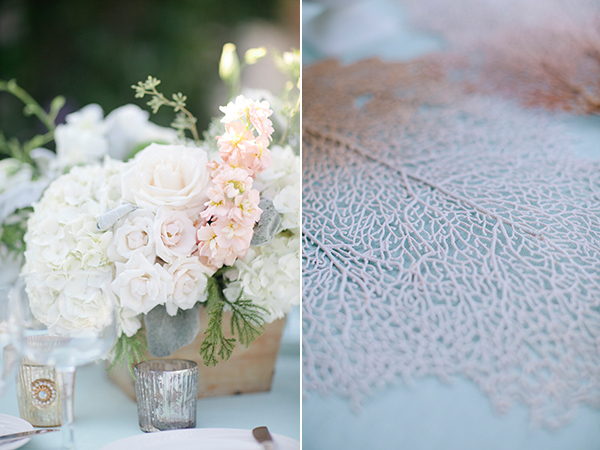 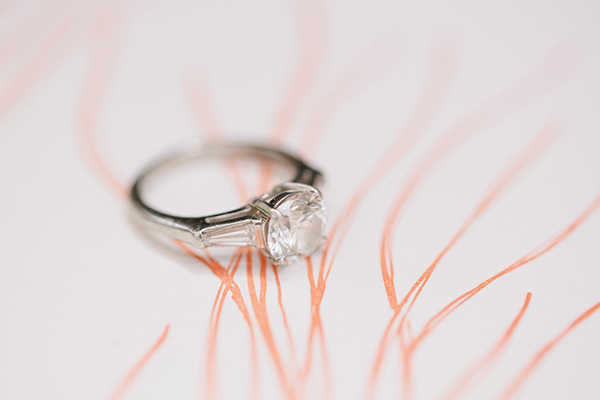 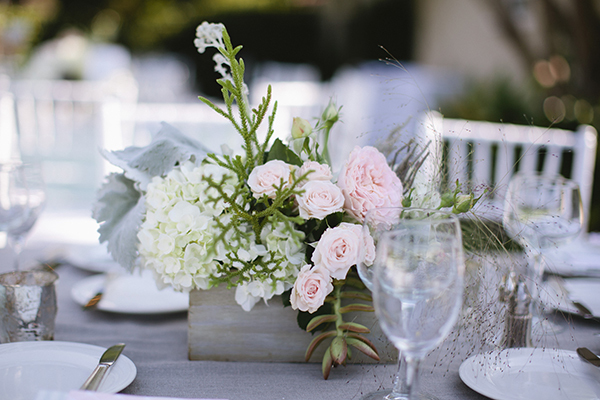 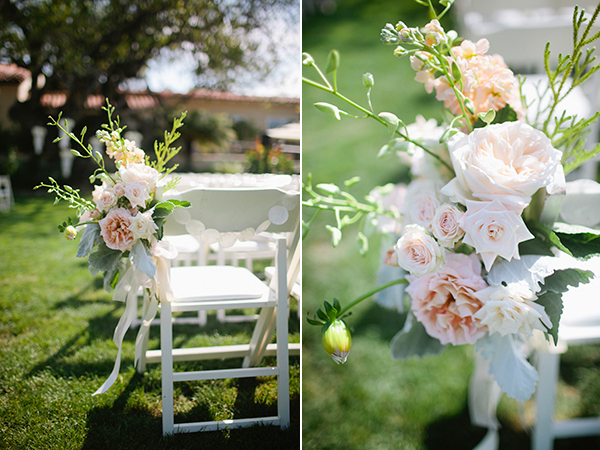 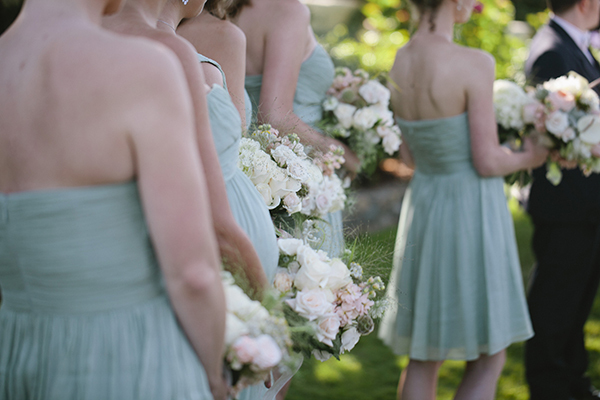 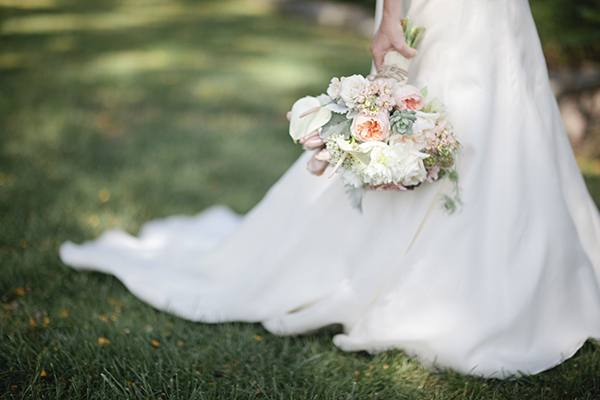 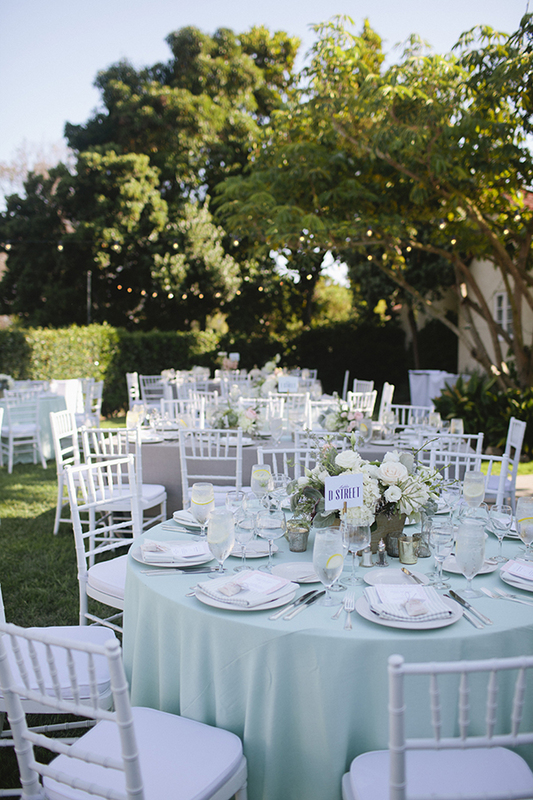 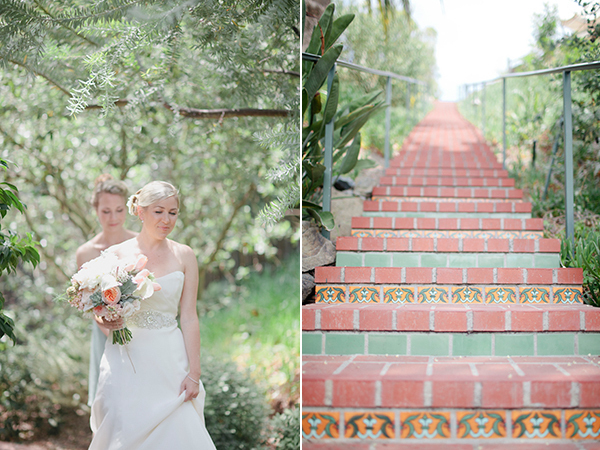 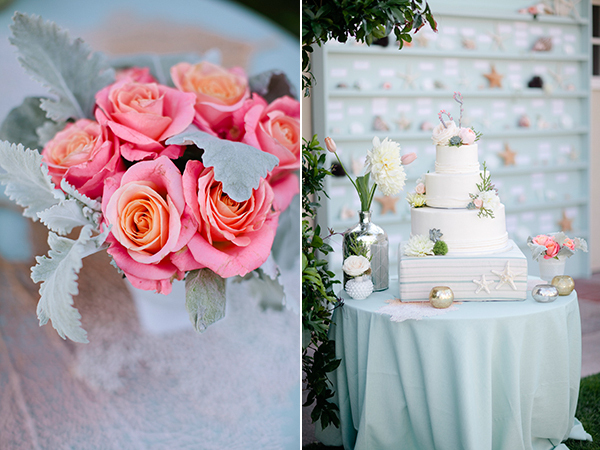 Thank you to Taryn and Shelby at Joie lala Photographie for sharing these amazing photographs! 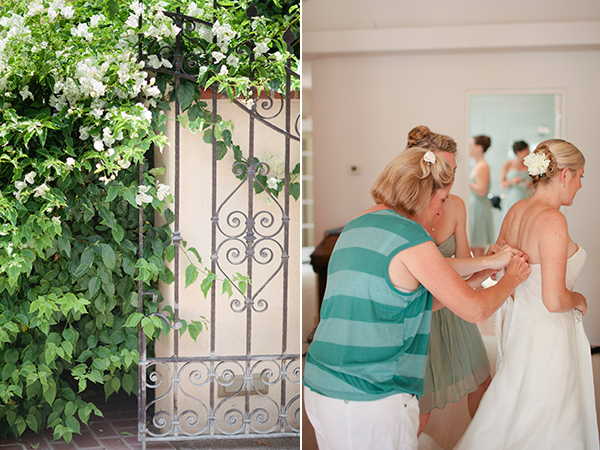 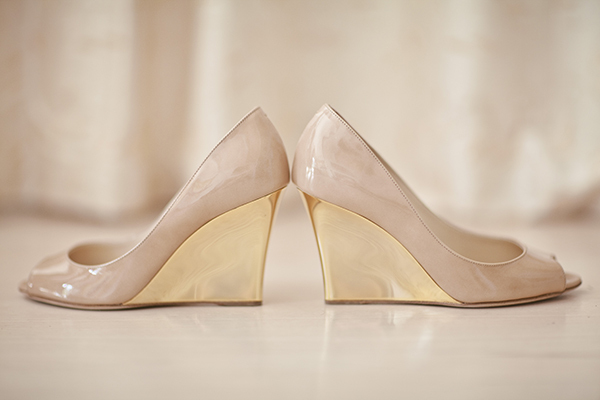 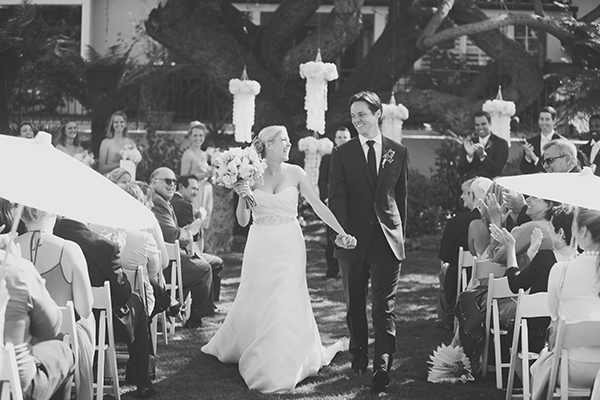 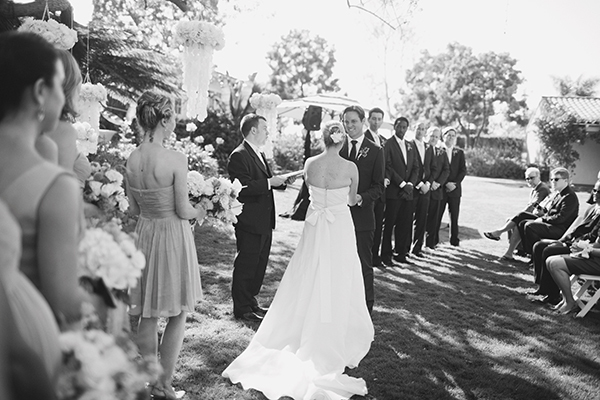 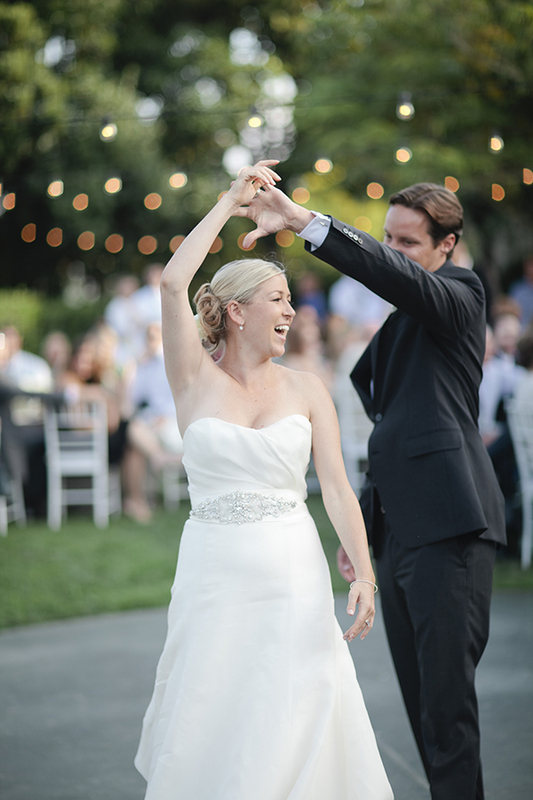 This wedding was featured on Style Me Pretty and can be viewed here.